I recently spotted a Groupon deal for a local gym and gave it some serious consideration. The deal would have worked out to $47 for a three-month membership. They normally charge $44 per month so this would have worked out to be a pretty good deal. I ended up passing on the deal (more on that in a minute), but I started throwing out the idea of getting a gym membership. It’s something I’ve been thinking about for awhile. Weight. A couple of years back, I made a few small changes in my diet and such, and steadily started dropping weight. I’m 5’8″ and at 170 pounds I wasn’t overweight, but after slowly dropping down to 152, I was pretty happy. Over this calendar year, I’ve backslid a little to around 157. I liked my overall health and such at 152, and cardio would be good. Cholesterol. A few years back I had ‘high’ cholesterol values. I was able to get to an ‘acceptable’ range by diet and such, but I’ve always been so close to the border that I’d like to get lower. My ‘good’ value is also on the low end, and my physician has told me that regular exercise would help. Variety. I have an exercise bike in my basement, and while I start every once in a while, I get bored with it over a couple of weeks. I’d like other options that will keep me from getting into a pattern that will allow me to drift off. Routine. 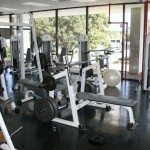 When I work out regularly, I find that I have more energy overall. Tone. In addition to cardio, I’d like to get a little bit more toned up. I’m not going to turn into a muscular freak, especially as I’m near 40, but I’d like to have the option of working my muscles now and then. I don’t have weights at home, and things like push-ups or the like simply don’t keep me interested. Cost. The biggest disadvantage is cost. The gym I actually would likely join, if I made the decision to move forward and if the gym looked in good shape, would be $20 per month. There are no up front fees. Accessibility. The one benefit of having the bike in my basement was that I couldn’t use the excuse of having to drive. Going to a gym would require a drive. It is worth pointing out that the main reason I passed on the Groupon deal was because the gym was about 15 minutes away, whereas the one that I like is only about a 5 minute drive. This might seem negligable, but that’s 20 minutes of driving per day that could easily serve as an excuse. The 5 minute away gym is practically on my way to work, as well. Routine. I’ve decided that if I were to go, I would likely go in the morning before work. Now, I’m an early bird as it is, so this would require getting up a little earlier than I do right now. Ever since my cat died, I have been able to set my alarm about 20 minutes later (I used to have to give her fluids), so I would go back to that time, maybe a little earlier. It would also likely involve me ‘getting ready’ (showering and dressing) at the gym and going right to work. I’d probably want to test these changes, but the gym I am considering has said that they’d happily let me try it out. We’re going away for another camping trip around Labor Day, so I’m not going to do anything after that. 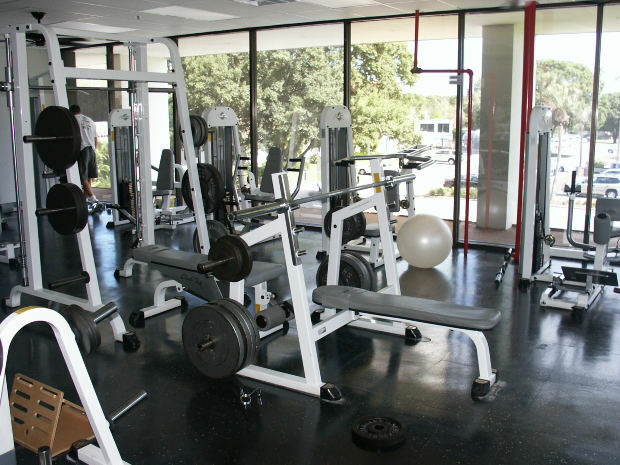 The gym I’m considering currently has a special where they are offering a four month membership for $75, and I’m thinking of giving that a whirl if they’ll honor it after I get back (the conversations I’ve had with them on Facebook and on the phone indicate that they’re pretty laid back, so I’ll remain hopeful). That would give me a membership through the end of the year, and if it works out, I’d happily continue, but if not, that’s not a whole lot to be out. I know there are some who say that they’ll never join a gym, and others who believe in it so long as you use it. I am obviously on the second side. I’ve been a member of various gyms through college and in my 20’s. The best successes I’ve had in terms of going regularly was when they were close by. The main reason I dropped out of two of them were because it simply didn’t seem worth it to spend almost as much time driving as I would spend working out. I’m thinking it might be worth a try again. What do you think?